Nothing beats Vienna's Schonbrunn Palace, if you believe visitor numbers. 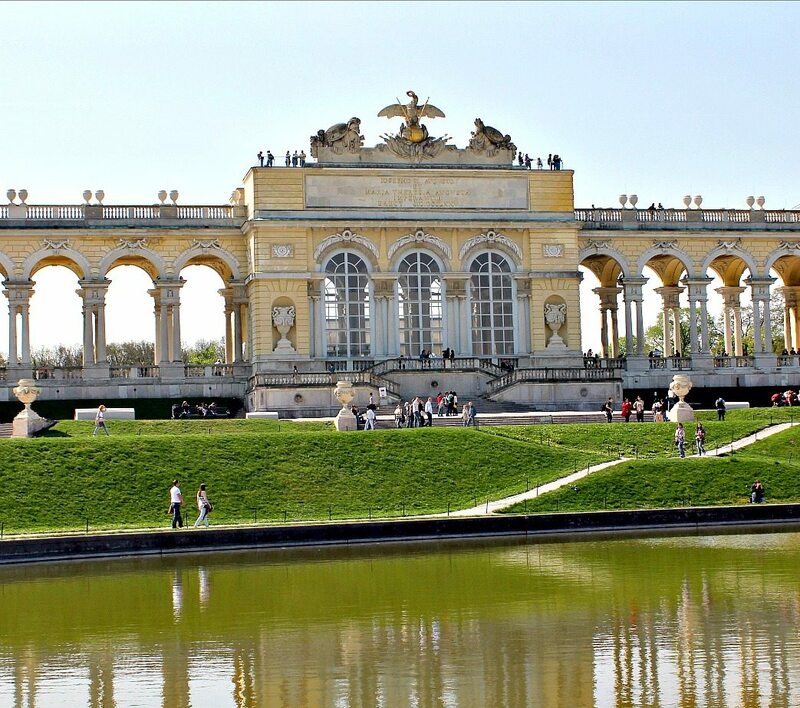 Each year, 3.6 million people flock to the Habsburg Emperor's splendid summer residence west of the city centre. They take the metro or tram, roam the palace interiors, palace compounds and zoo, have coffee at the hilltop belvedere and then head back into familiar territory in the historic centre. This post shows you what happens when you take Schonbrunn's side exit (Hietzinger Tor). Here are the top 5 highlights of Schonbrunn's elegant neighbourhood. 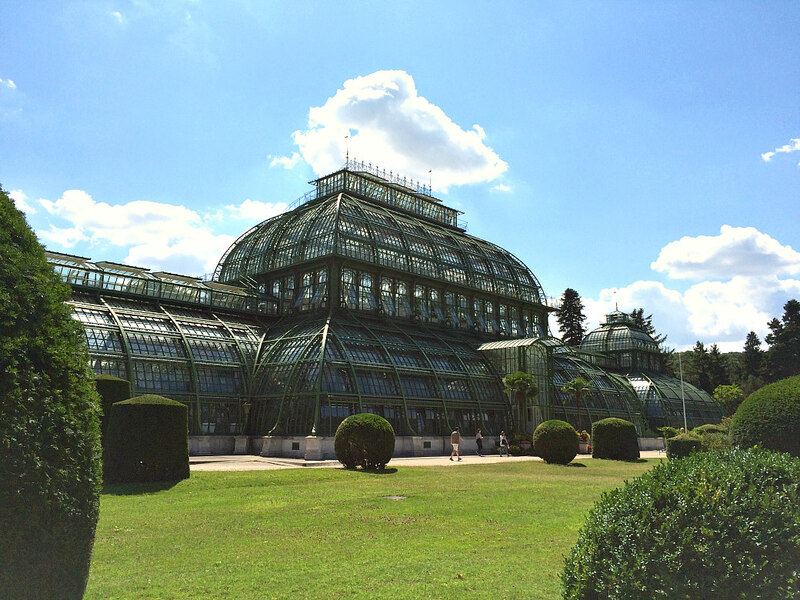 The 19th century palm house sits east of Schonbrunn Palace at the palace compounds. The huge glass pavilion boasts hundreds of exotic plants in three different climate zones. I love to go there in the winter to warm up under coconut palm trees while snow storms rage outside. When you are done, exit Schonbrunn Palace through Hietzing Gate (Hietzinger Tor). This is what Schonbrunn's first impression looks like for locals. Hietzing Gate on the eastern side of the palace compound leads you right into Vienna's bourgeois 13th district. Hietzing is the most urban of 13th district's five areas. For centuries, this is where well-off Viennese used to move to for peaceful suburban living at the foot of Imperial power. The result is well visible in green leafy streets lined with elegant villas and spacious townhouses. Walk up the local high street Hietzinger Haupstrasse and you'll get a good feel for the neighbourhood. 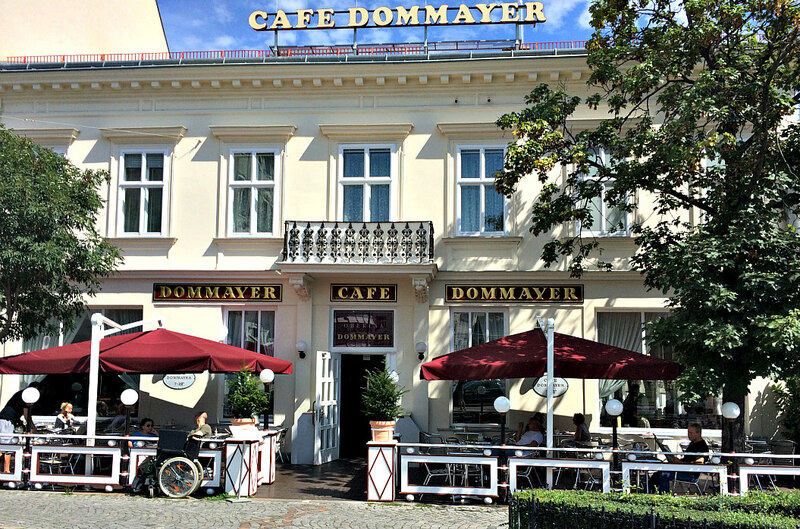 Cafe Dommayer is a 130-year-old institution. Vienna waltz king Johann Strauss (father) used to perform his newest waltzes there. Choose between sitting under crystal chandeliers on red velvet upholstery or in the outdoor area overlooking Anna Strauss Square, the oldest part of Hietzing (great for doing 'neighbourhood watch'). The cafe is run by patisserie chain Kurkonditorei Oberlaa, expect jaw dropping cakes and sweets. Hietzing was also the perfect retreat for Austrian painter Gustav Klimt. 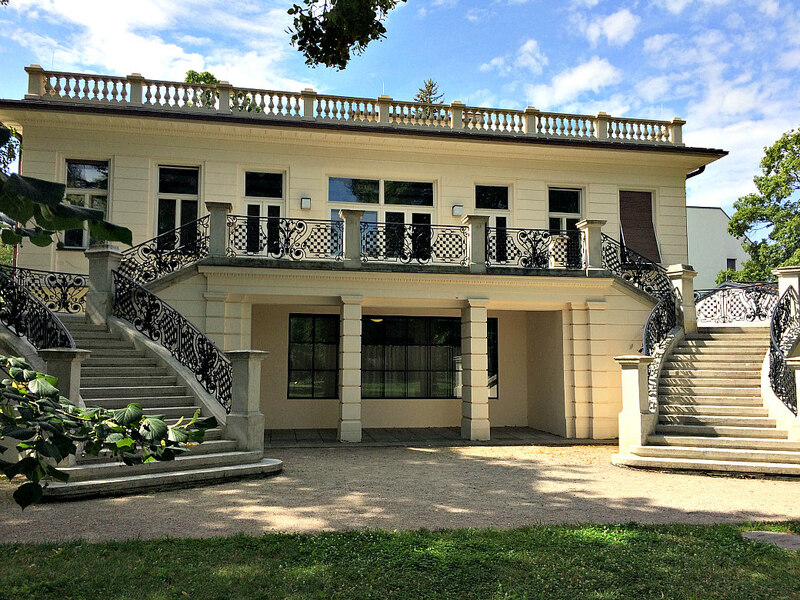 His villa in Feldmühlgasse has recently been renovated. You can see his studio and living space alongside numerious drawings and paintings. They are mostly replicas of the originals hanging at Belvedere Vienna, Leopold Museum or the Museum of Applied Arts / Contemporary Arts. From Anna-Strauss-Platz take tramway 58 to 'Unter St. Veit, Verbindungsbahn'. Make sure you know the opening times, as the villa isn't open on a daily basis. Besides Hietzing's Biedermeier bliss Austrian Art Nouveau and Modernism left a brilliant mark in Hietzing. 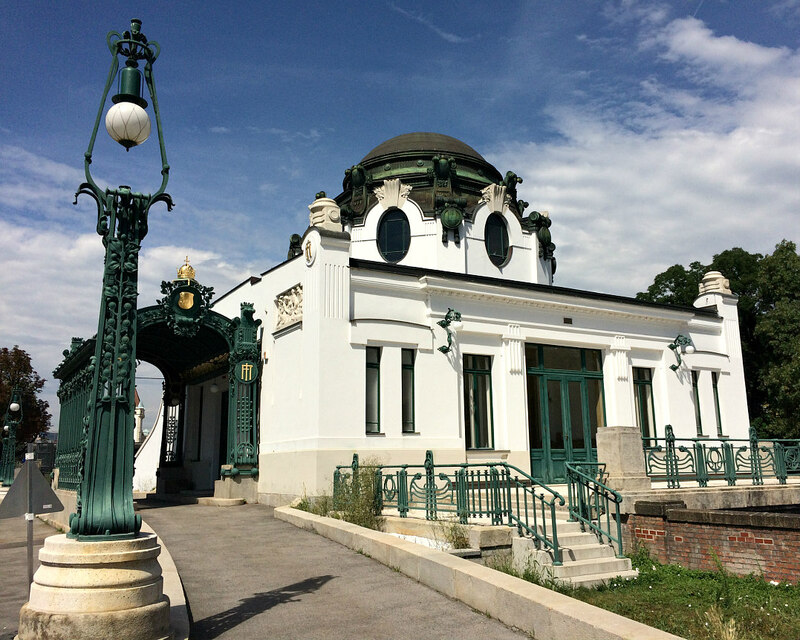 On your way back, visit the Court Pavilion (Kaiserpavillon) just on top of Vienna's overground metro U4. Austrian artist Otto Wagner built a rail station for exclusive use by the Emperor. Francis Joseph used it only twice. The interiors boast precious fabrics and materials in best Art Nouveau style. As with Klimtvilla, the Court Pavilion has selective opening times though just its façade is worth staring at. Find out more about Vienna on Vienna Unwrapped.